Are you thinking about studying project management? After all, project management courses are a great choice for both the school leaver and a seasoned professional. This is because knowing the fundamentals of managing a project from start to finish can be applied to almost any type of industry or endeavour. It’s certainly one of the most flexible and useful skillsets you can possess in the corporate world, especially as a manager of people and outcomes. When it comes to project management, it can certainly appear to be one of those things that look kind of easy. Until you try it for yourself. Planning and executing the project objectives takes a lot more than just some labor and materials and a bullet point task list. Projects can by nature be incredibly chaotic. Honing your ability to project manage centres around knowing exactly how to organise and plan them in a way that tames this chaos into easily achievable steps. Then your resources can follow this as a roadmap to achieving your project goals. This can mean achieving success in almost anything your enterprise tackles. 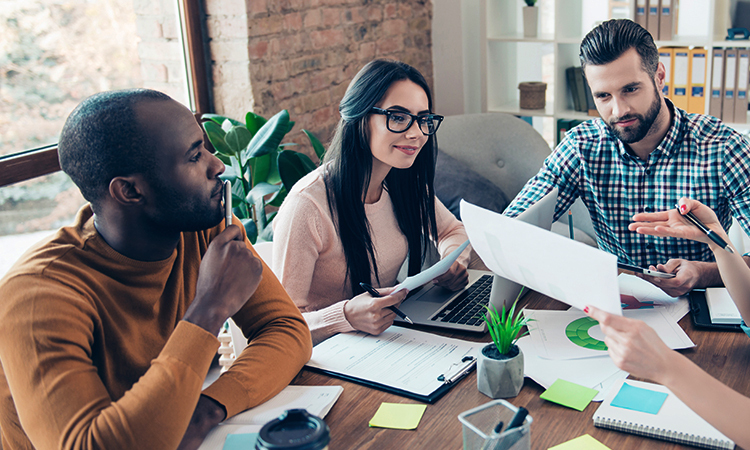 Learning about what type of culture promotes a strong project environment in both the corporate and private sectors is a valuable tool in the workplace. A project needs to bring people together and can often mean sharing ideas and providing inspiration. In this role, you can become the cornerstone of collaboration and integration in a team. By executing effective planning and efficient people management, people begin to naturally look to you as a strong leader. Besides managing the cultural challenges in project management, a project manager also has to manage and ensure quality is always provided. Producing exceptional services or products time and again takes a keen eye for spotting deficits or deficiencies. Learn how to identify, manage and control quality while managing a team and its morale. After all, a high-quality product or service means happy clients and satisfied bosses for everyone involved. These reasons and many other factors are why companies continue to employ people with exceptional project management skills. If you’re looking for a new career, or you would like to boost your current skillsets, this is definitely one route to consider!